and don't forget to enter the #FunWithFourGiveaway - 4 different winners & 4 different prizes! 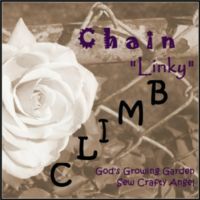 Each permanent host & cohost will feature their favorite link from the previous month CLIMB! Lava Blues - Lovely Lava Blues, Rare Leland Bluestones, Blue Slag Glass Stones/Lake Michigan, Blue Lava Beads, Copper Glass Beads, 22 Inch Copper Necklace . by ShorelineDesigned Total prize value is $95!! We are looking for amazing Bloggers like you to cohost the CLIMB! (We are scheduling for the end of June & for July 2015) - please click the purple button below to sign up to cohost or click HERE! Thanks again for another great linky party! Thank you so much for hosting this nice party.